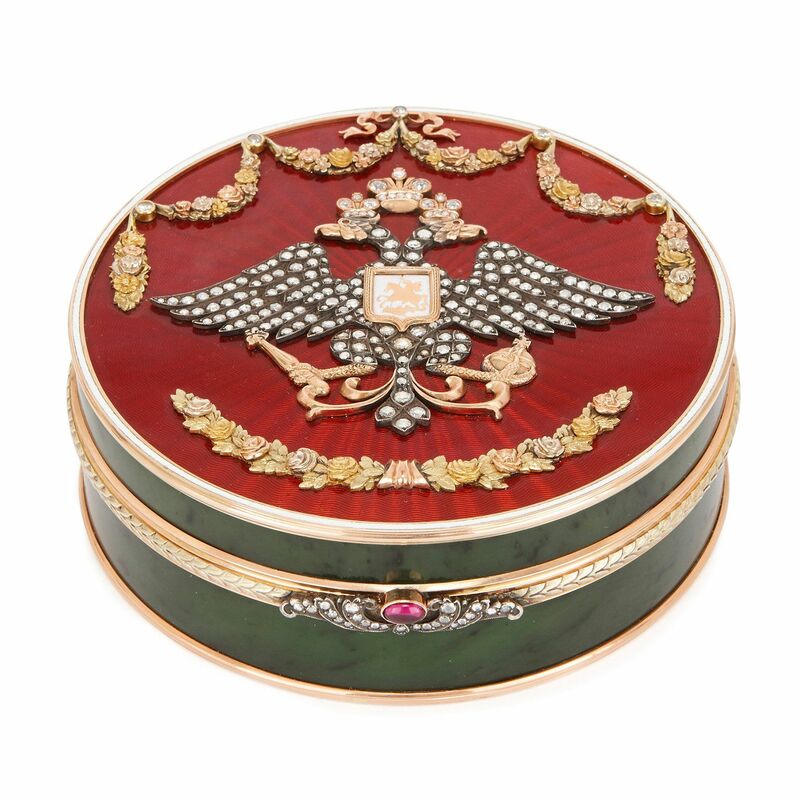 This glittering box, crafted in the Faberge style, has a jewel-like quality that would make a precious addition to any display of luxurious collectibles. 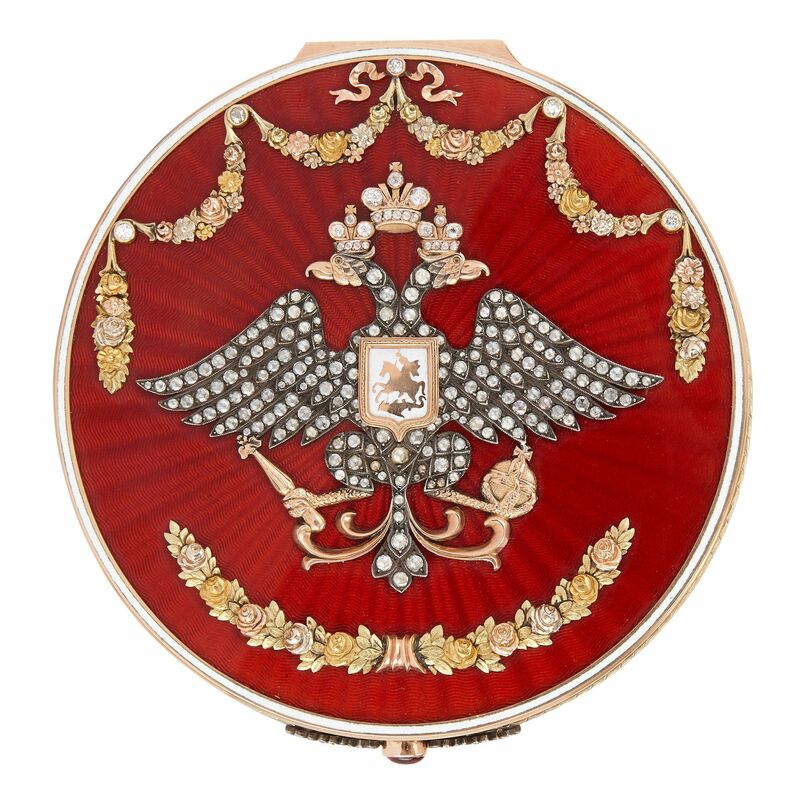 This truly exquisite box is crafted in the style of famed Russian jeweller, Carl Faberge. 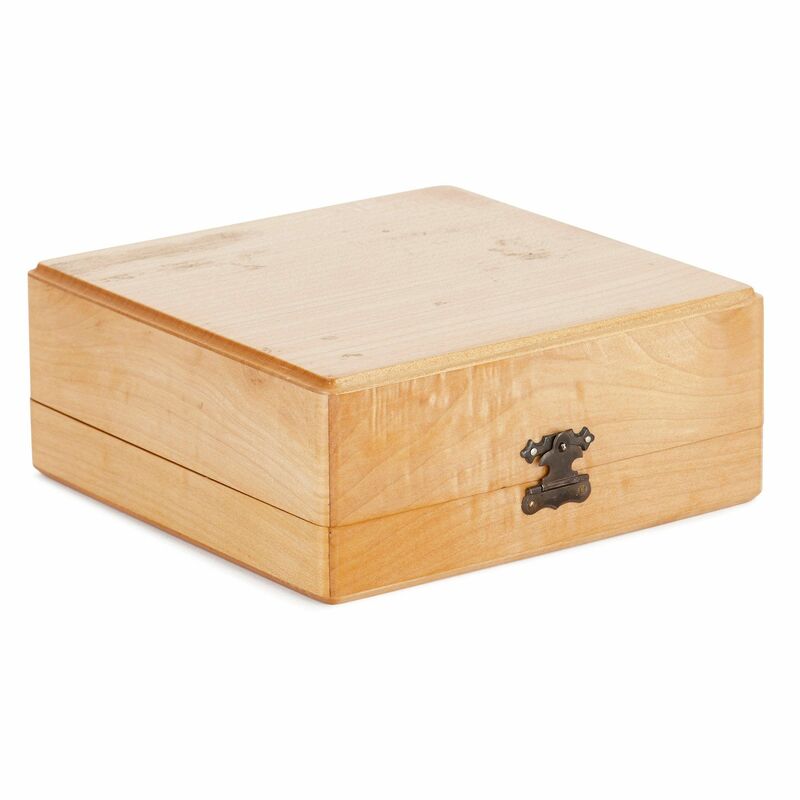 The box is of circular form and crafted in a variety of precious and rare materials. 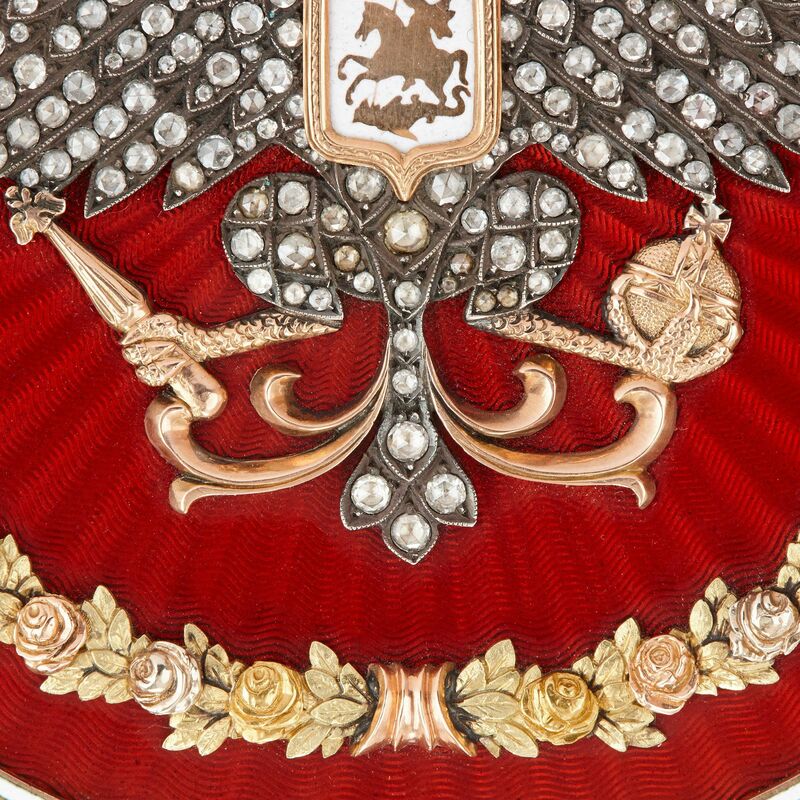 It features a very fine red guilloché enamel lid, mounted in diamonds and gold with a crowned double-headed Imperial eagle, centred with the Moscow coat of arms. The eagle is surrounded by floral swags in three tones of gold, which are mounted with further diamonds and precious stones and bordered by a gold rim. 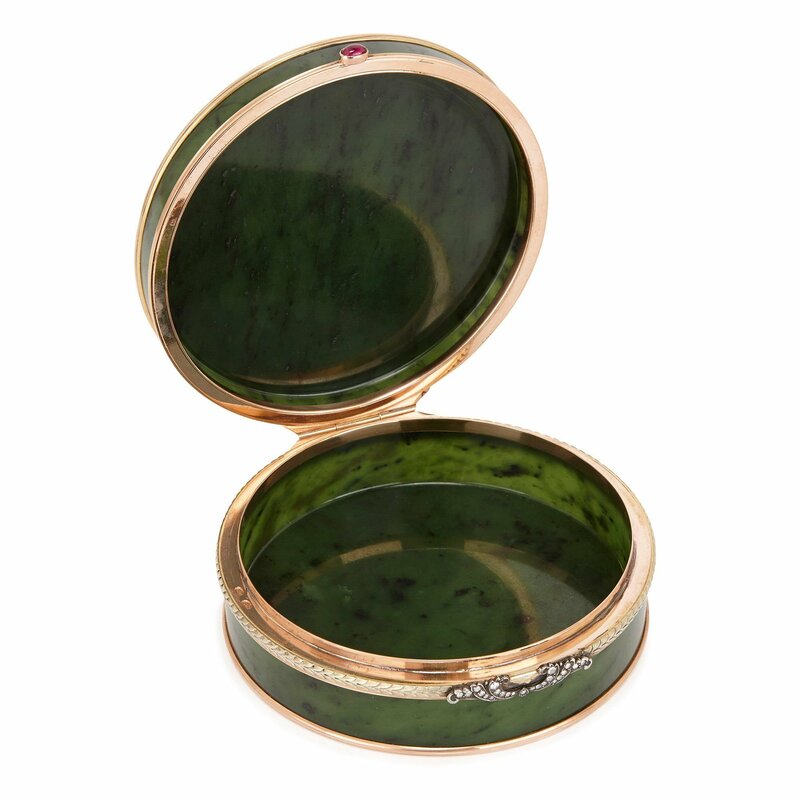 The sides of the box are crafted in green nephrite jade, and the hinged opening is mounted with a band of gold and opens at a clasp set with further diamonds and precious stones. 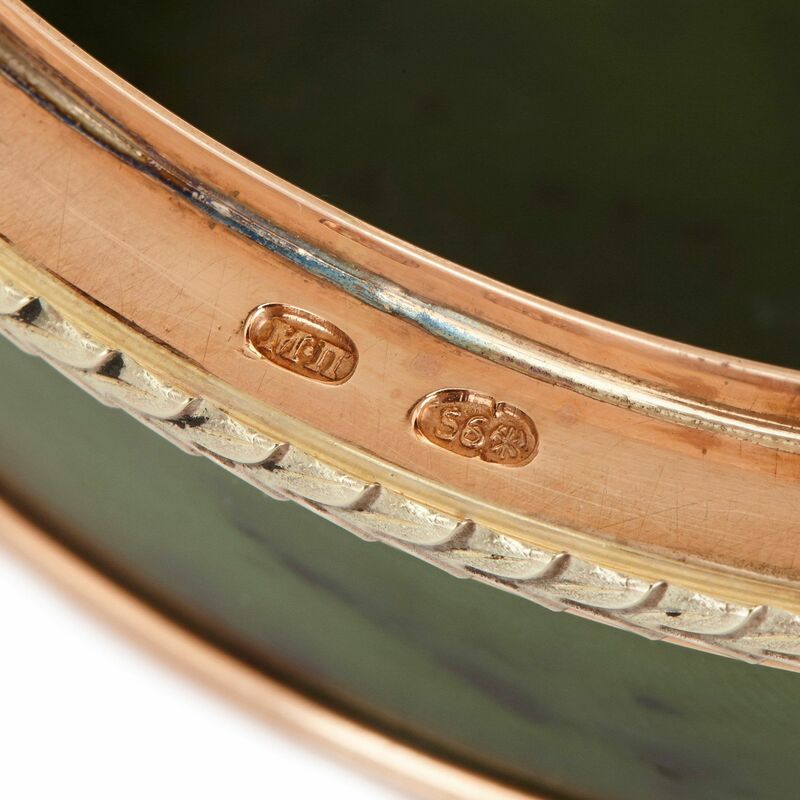 The box opens to reveal the nephrite jade interior, and gold hallmarks around the inner gold rim. 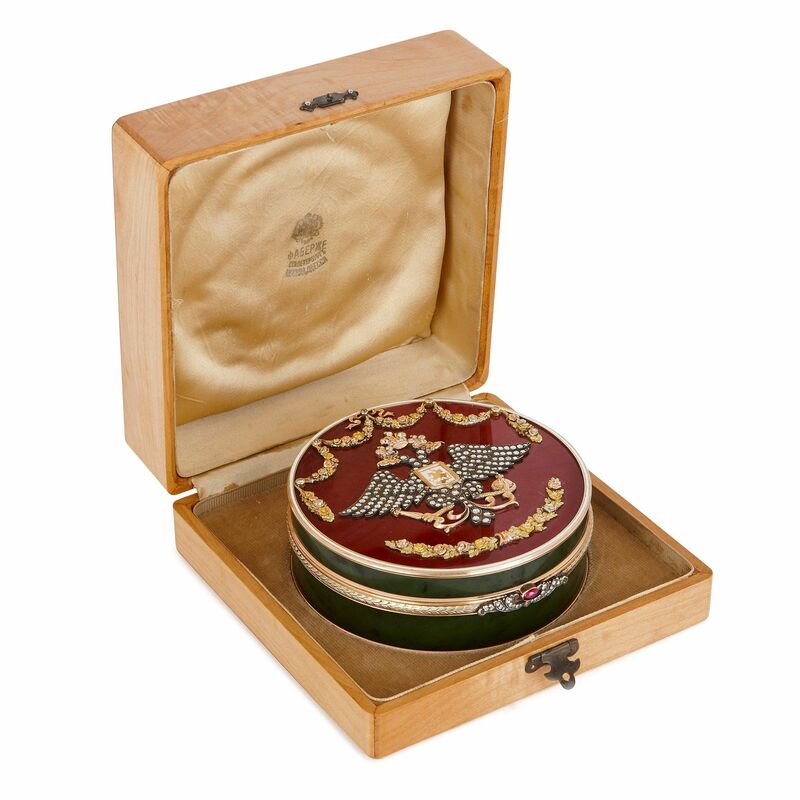 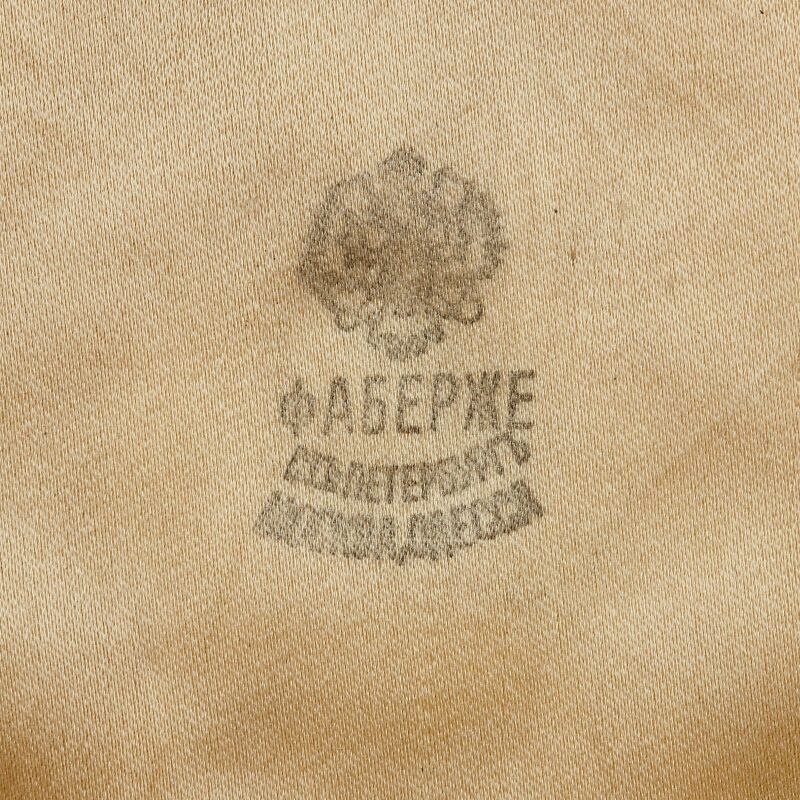 The box comes cased in a fitted wooden box which is printed with the Faberge logo to the interior silk lining.